Nate Berkus, the renowned interior designer once said, “Your home should tell the story of who you are, and be a collection of what you love brought together under one roof.” Living in a space that reflects you and your passions is important; and what’s great about the new interior trends is that nothing is off the table, as long as you know how to present it in a flattering way. 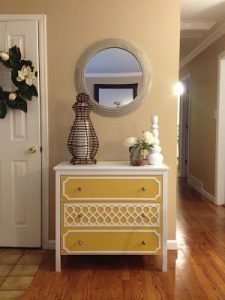 In other words, if you like bold colors, sharp contrast, and alluring shapes, this is the time to get fearless and spruce up your interior in a unique way. In previous years, neutral, gentles tones and seamless color combinations dominated the decor world; however, that’s not the case anymore. The time has come to embrace contrast. This goes for flooring, furniture, and wall colors. So, let’s start with something as simple as black and white tiles. The sound of it may be a bit unconventional, but imagine how these two classy colors can create a timeless and dramatic impact. You can implement this in smaller rooms like your bathroom or foyer or if you want to make a bigger statement, why not re-tile your entire kitchen and give it that classic, Hollywood look. Other color combinations to consider for floors, furniture, and walls include dark steel blue with light mocha, deep pine green with gray pearl, and deep barn red with light peach. You might have heard people say, ‘ Less is more’ and in this case it truly is. In other words, one simple but unique feature can create a wow-factor in the entire room. If you don’t want to change much about your interior, but still want to keep your home on trend, change only one thing, like your living room door. Believe it or not, an eclectic door – be it ribbed, engraved, glass, etc. – can serve as the focal point in contrast to a stark wall. And if you want to take it to another level, repaint it to a dramatic color (deep teal or caramel honey) that goes well with other hues in the room. So, basically, don’t be afraid to step out of your comfort zone and try something bold. The two biggest color trends this year are soybean and latte. 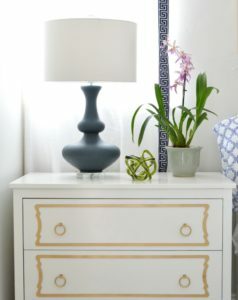 This means, if you’re thinking about replacing or re-painting your furniture, these are the hues to look for. The great thing about these two nuances is that they go really well with cool colors like gray or even light blue, which means you don’t have to get rid of the cools in your home. What is more, keep them for contrast as they will help the warmer colors pop. The same goes for curtains and rugs; don’t be afraid to experiment with cools and warms. As you can see, the newest trends are bolder, more dramatic, yet classy. So, don’t hesitate to embrace these changes and create a charming, inviting yet comfy home for you and your loved ones.